Good Morning! I’m pleased to have Anna Jeffrey and her book The Cattleman on my blog today. I hope you enjoy the blurb, excerpt, cover and her giveaway! Anna be awarding a grand prize of a Kindle Fire to a randomly drawn winner via rafflecopter during the tour and one runner up will receive e-copies of THE TYCOON and THE CATTLEMAN, Books 1 and 2 of the Sons of Texas series. Ever since a disastrous marriage and divorce at a young age, Pickett Lockhart has kept his emotions under control. He’s preoccupied anyway with learning to be the general manager of the vast Double-Barrel Ranch outside of Drinkwell, Texas. Still, his older brother’s marriage and looming fatherhood has aroused an envy within him to have a wife, kids and home of his own. But he can’t get married, even to a woman he loves who also loves him. His divorce cost him and his family a bundle, leaving him with an overwhelming fear of stepping into another financial trap. Amanda Breckenridge, swim team coach and English teacher in Drinkwell High School, has been in love with Pic for as long as she can remember. They were high school sweethearts. After he eloped with someone he met in college, Amanda left Drinkwell. Her father’s illness brought her back to town and a revived relationship with Pic. But Pic’s mother has never thought Amanda was good enough for him. She intends to destroy their relationship by sending a friend’s beautiful daughter to the ranch to tempt Pic. Can Amanda and Pic’s bond survive his mother and her schemes? Or the unexpected career opportunity that falls into Amanda’s lap? Standing at a dark-tinted window wall, sipping at a Crown and water, Pickett Charles Lockhart looked out from the Petroleum Club’s cocktail lounge in downtown Fort Worth. Suffocated. That was the word that described how he felt. Forty stories below, vehicles that looked like toy cars moved through the city streets. Low-hanging clouds in a leaden sky teased with the possibility of longed-for rain. Relief from the relentless drought ought to make any man in an agriculture business— as he was—happy. But Pic only hoped to hell those clouds didn’t gin up a storm and a big blow while he was still on the fortieth floor of this building. He didn’t mind high places if his feet were firmly planted on God’s earth, but a high-rise building made him dizzy. No way could he ever adapt to life in a skyscraper in the city where his older brother Drake had lived the last few years. Trying to overcome a powerful urge to bolt, he took a step backward. Anna Jeffrey’s books have won the Write Touch Readers’ Award, the Aspen Gold, and the More Than Magic awards. Her books have been finalists in the Colorado Romance Writers award, the Golden Quill and Southern Magic as well as the Write Touch Readers’ Award, the Aspen Gold and the More than Magic awards. 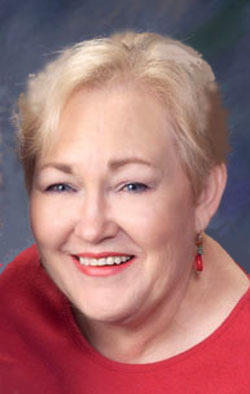 She is a member of Romance Writers of America, Dallas Area Romance Authors and PASIC. Anna is a fifth generation Texan. She was born and grew up in West Texas, where most of her family members were farmers and ranchers or worked in the oil fields. She left Texas for many years and lived in four of the western states, a rich experience she’ll never forget. She loves most things western, from the customs and culture to the philosophy of life. She enjoys many hobbies, i.e., reading, painting and drawing, crafting, needlework and beading. These days, she’s back home in Texas. She and her husband currently live in Granbury, Texas, a small town not far from the Dallas/Fort Worth Metroplex. ENTER HERE FOR ANNA’S GIVEAWAY! Love the cover the blurb and start of the book! Sounds like it is going to be good. Amazing at the Momma’s who want to pick wives for their sons! Hi, Kathy. Thanks for stopping by and posting. THE CATTLEMAN is Book #2 of the “Sons of Texas” trilogy and a sequel to the book I released last year, THE TYCOON. It’s the ongoing story of the fabulously wealthy Lockhart family. Pic, the hero, is the middle son who has always stood in the shadow of his brilliant older brother. I really enjoyed this excerpt. I know a woman who sounds like this mother. Thanks to Cerian Hebert for hosting me and THE CATTLEMAN today.